Most of the time, cold glass of water will do me fine but when I’ve had a particularly stagnant morning in the office, another pint of water just won’t cut it. I usually take that as a good excuse to get out of the office for 10 minutes, stretch my legs and buy myself something a little bit more interesting. I’m not a huge fan of energy drinks or anything fizzy (unless it’s prosecco obvs) so something fruity is usually my shout. 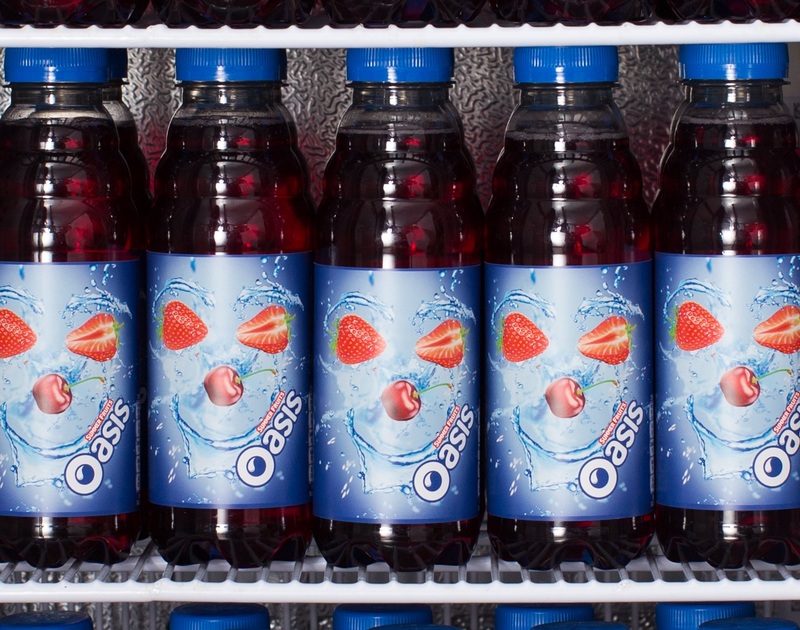 Oasis has been a particular favourite of mine since I’ve grown up drinking it, my dad loves the stuff and now, so do I. This week, my bottle of summer fruits didn’t just quench my thirst but it also kept me entertained at my desk for the rest of afternoon. 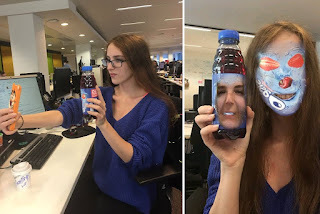 Oasis have just launched the world’s first face swappable bottle so whilst everyone else was hard at work, I took my afternoon pick me up as an opportunity to try my first ever face swap! Out came my phone and que an afternoon of Juanita and I giggling at ourselves as a giant fruits. Luckily my boss saw the funny side!